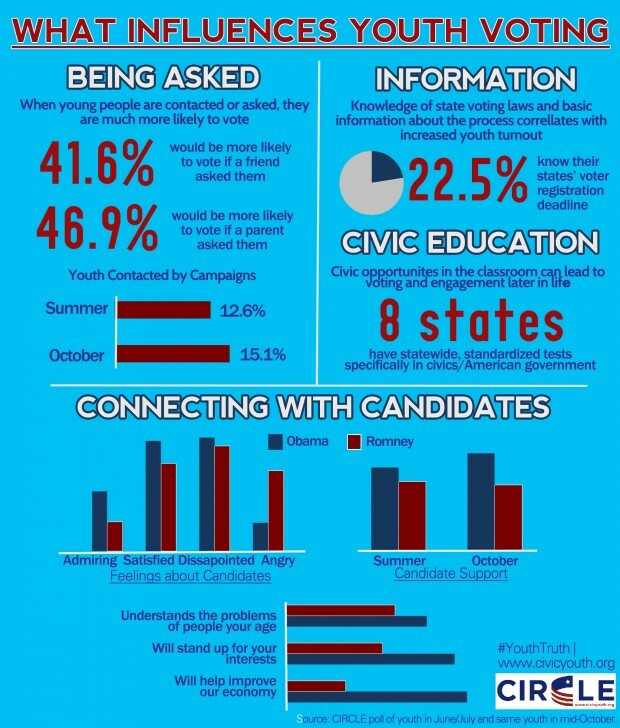 Here's a good reason to start engaging students at a young age in how the electoral process works: more than 40 percent of young Americans don’t know key information about the voting process, according to a poll of young people's view of the election conducted by the Youth Education Fund. The survey polled 1,695 youth (ages 18-29) in June/July and 1,109 of the same youth between October 12 and 23. The more they know and the more opportunities they have for civic engagement, the more likely they'll participate!